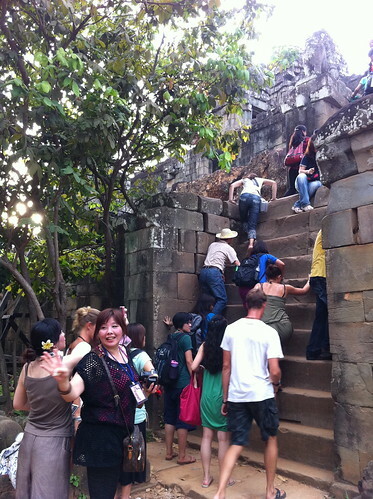 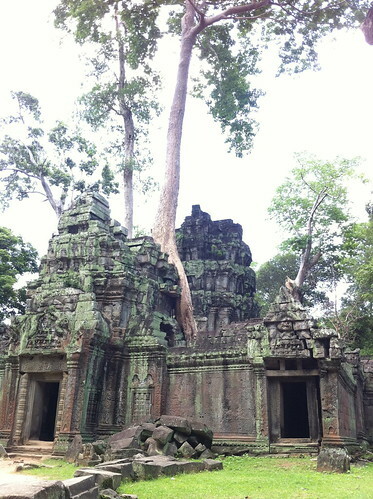 Next we headed to Ta Prohm. 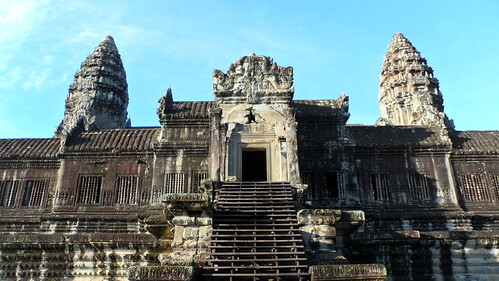 It was built during the 12th and early 13th centuries. 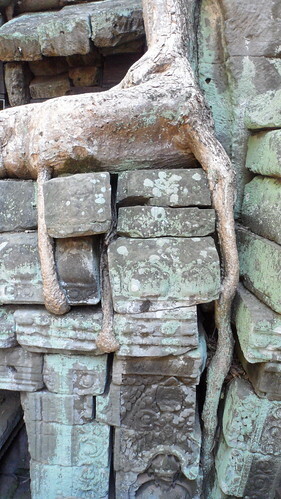 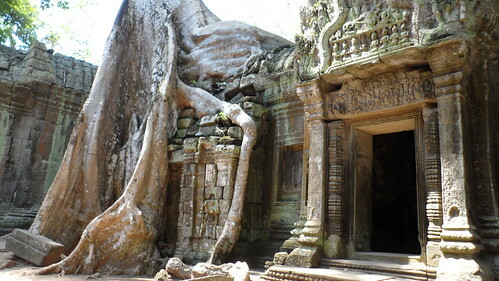 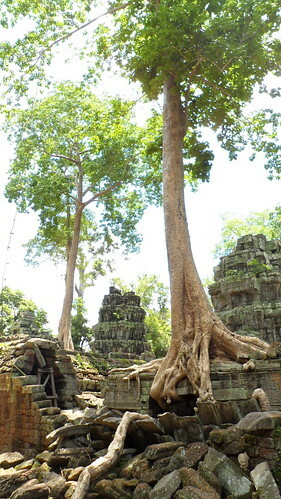 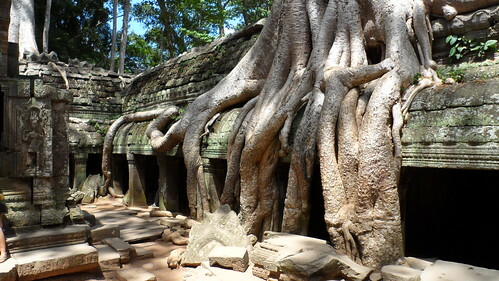 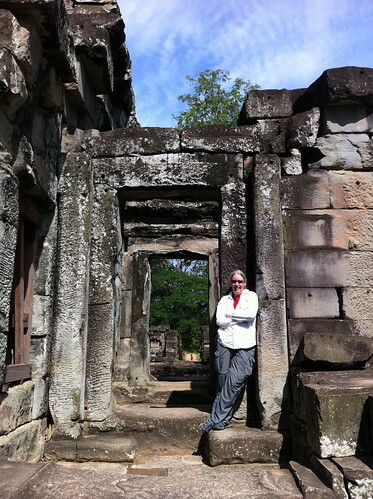 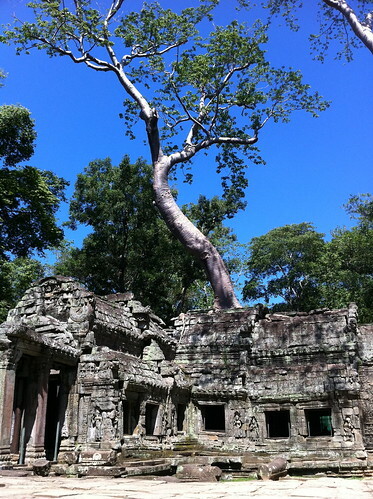 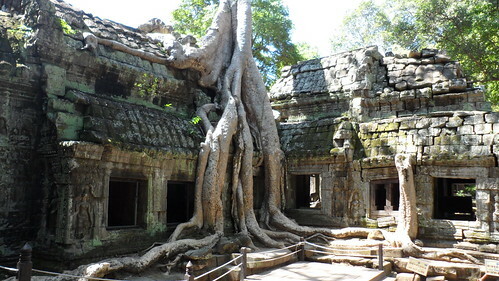 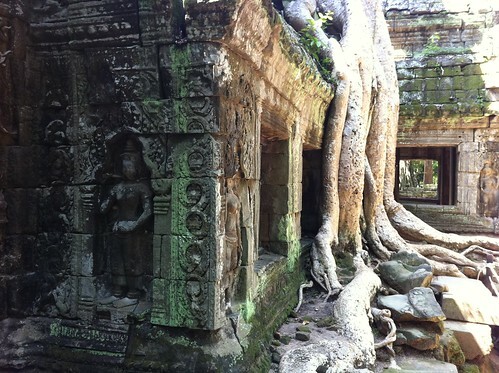 What makes Ta Prohm so cool is that it’s been left in much the same condition in which it was found. 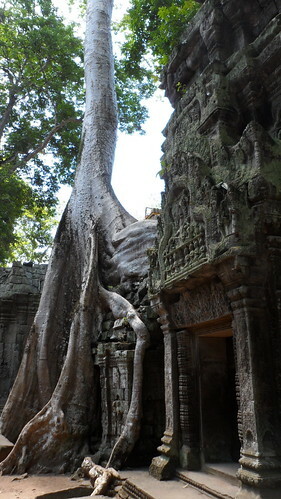 The reason, trees growing out of the ruins. 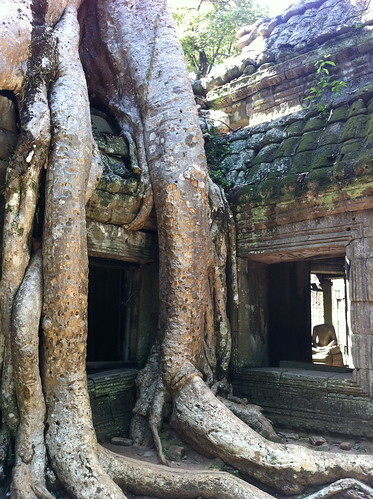 I was blown away by how amazing this place is and what nature does to left behind human artifacts. 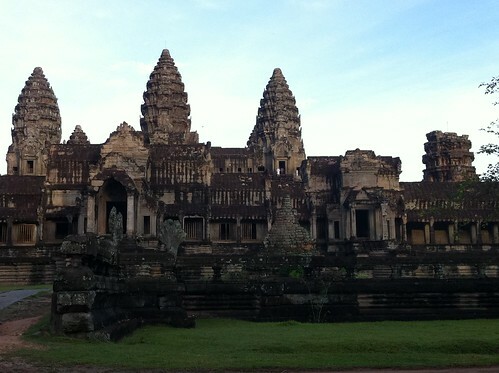 Needless to say I had a great time taking photos here. 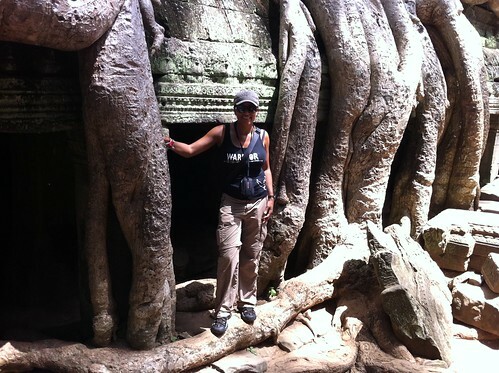 Ta Prohm was pretty amazing but it wasn’t my favorite site. 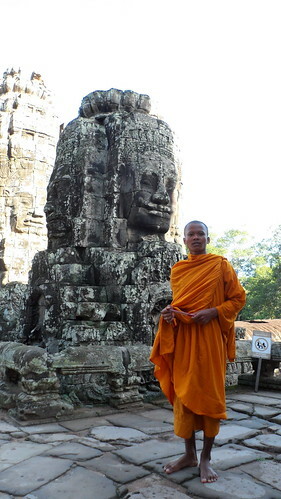 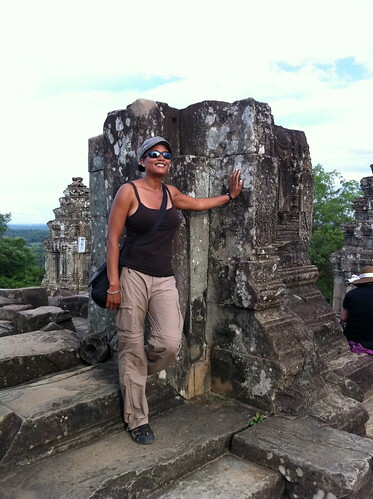 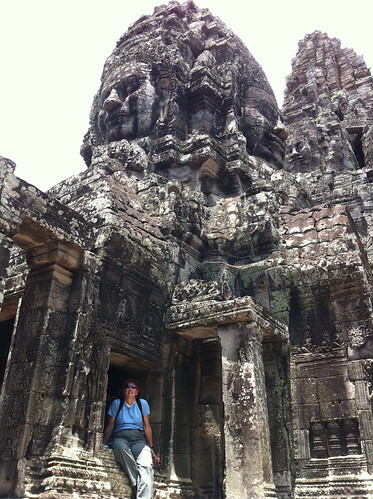 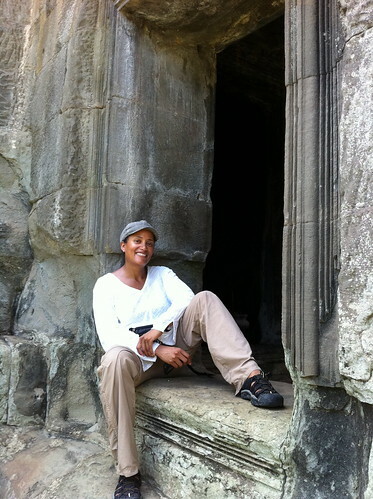 I was mesmerized by Bayon in Angkor Thom, which means great city. 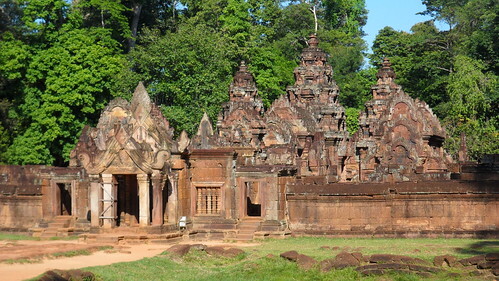 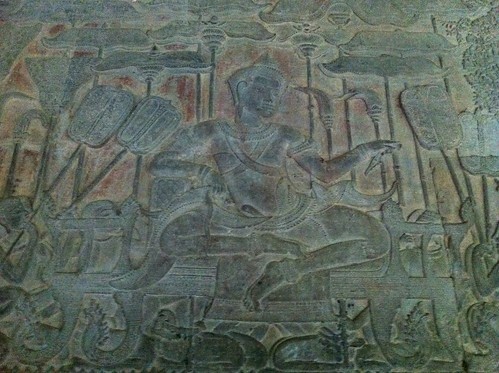 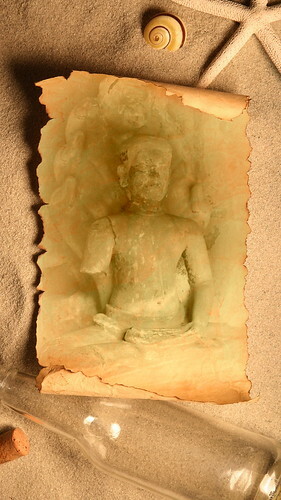 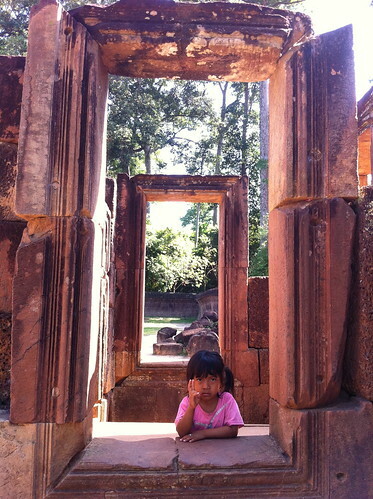 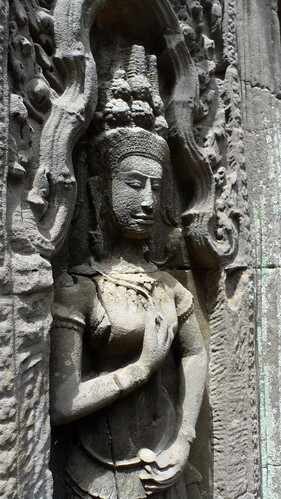 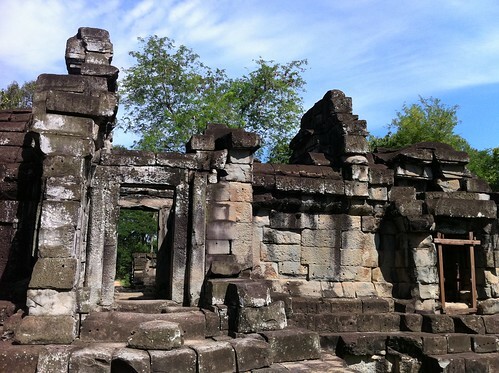 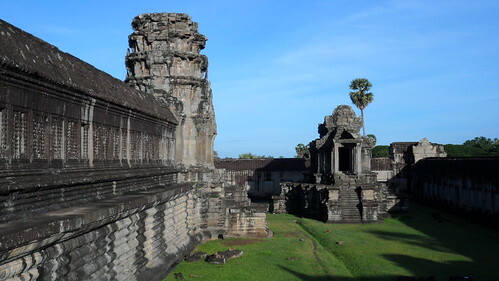 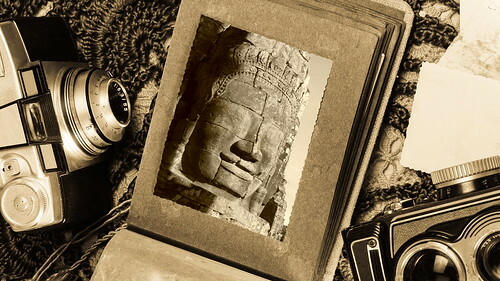 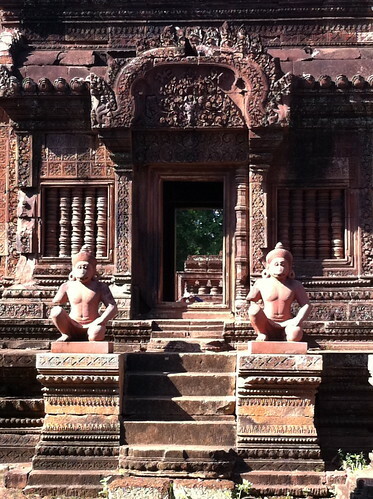 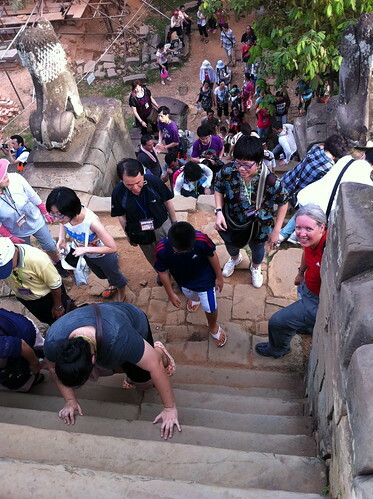 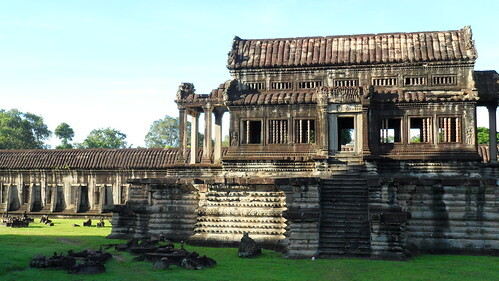 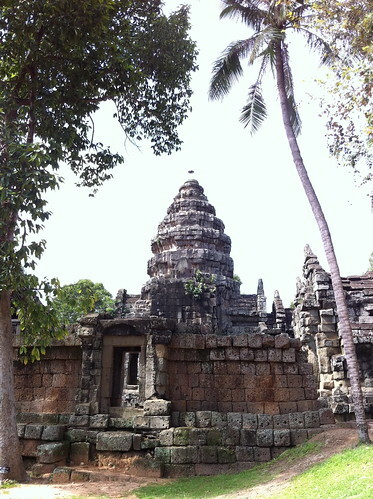 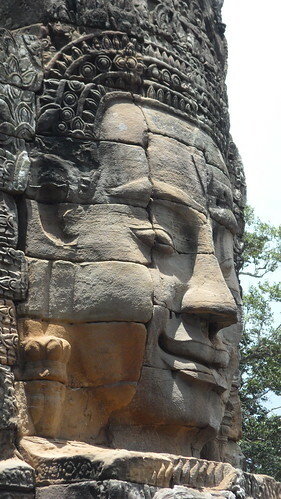 It was built in the late 12th century by king Jayavarman VII. 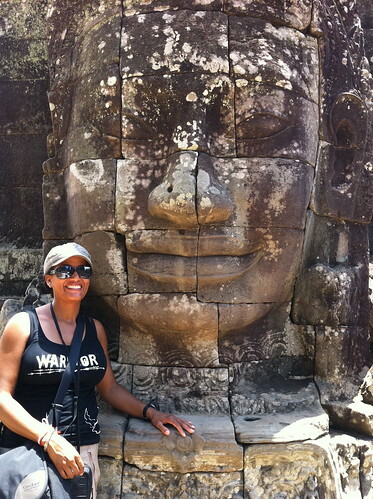 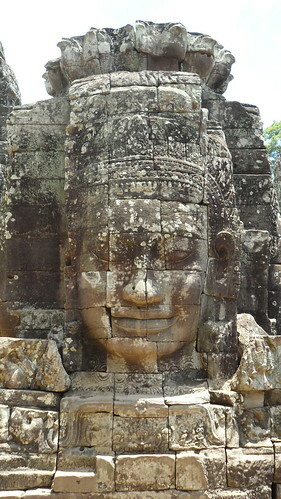 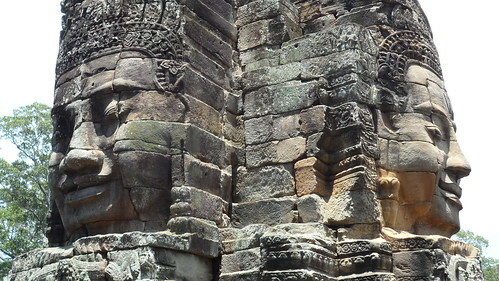 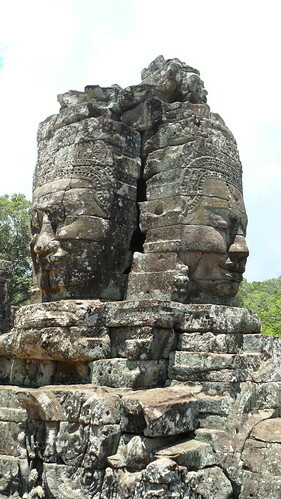 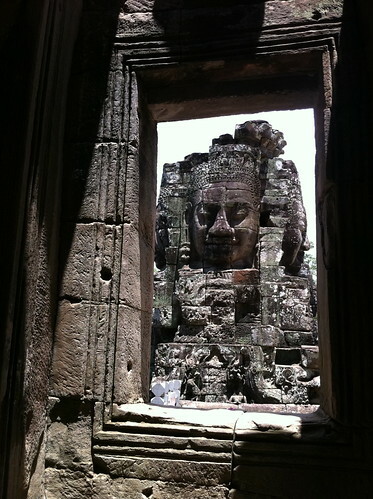 What fascinated me about Bayon is the massive stone faces. 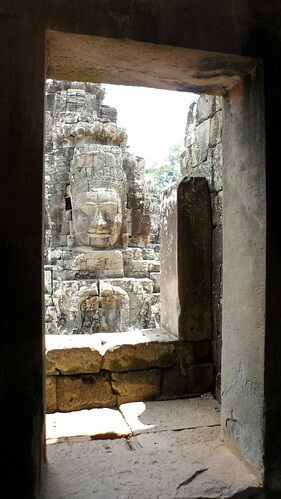 No matter where you are in the temple you feel like you are being watched. 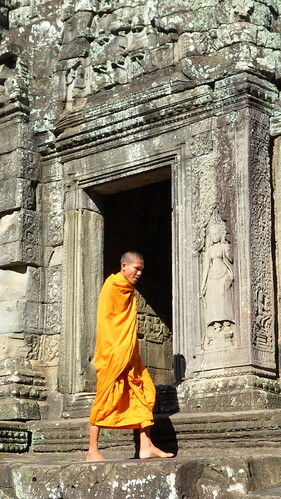 And, to top it off, a group of monks came to visit the temple and you know I chased them down trying to get the perfect shot! 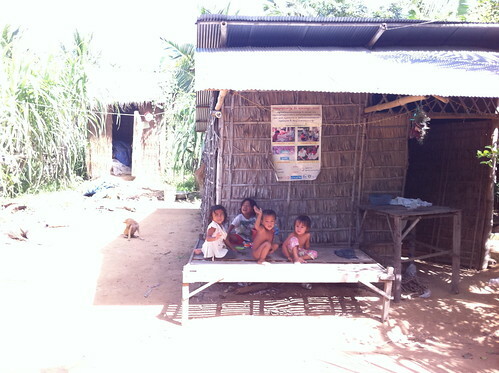 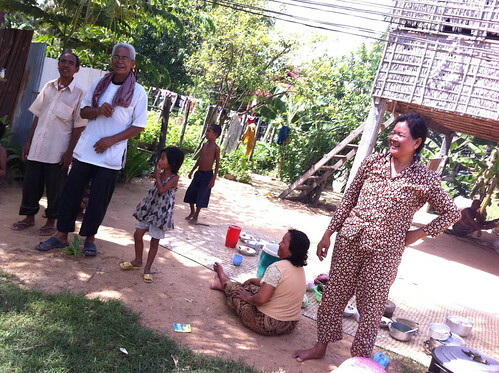 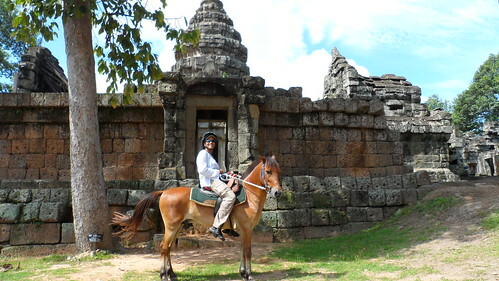 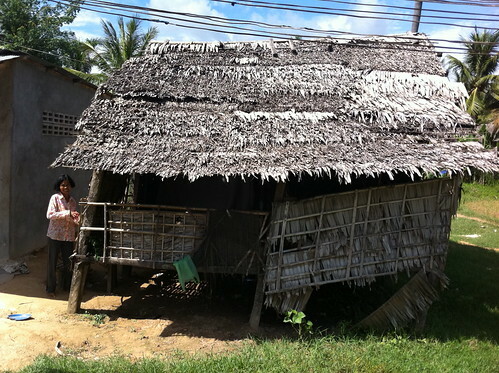 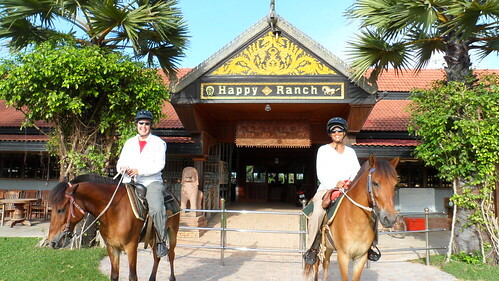 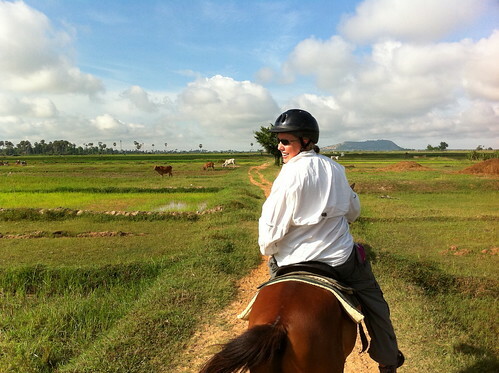 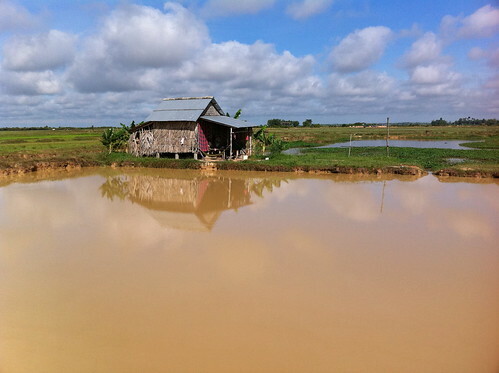 While in Siem Reap I also went on a 4 hour horseback ride through the countryside. 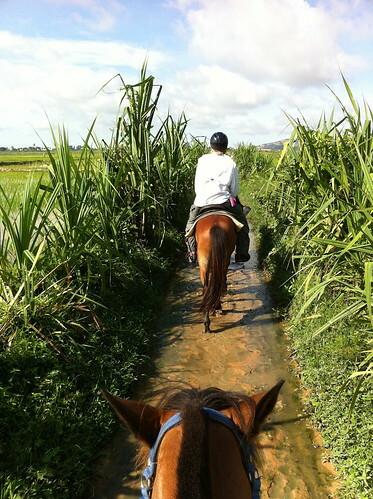 I love horseback riding and try to ride whenever I travel abroad. 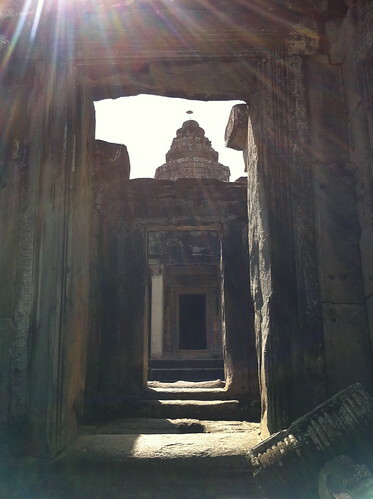 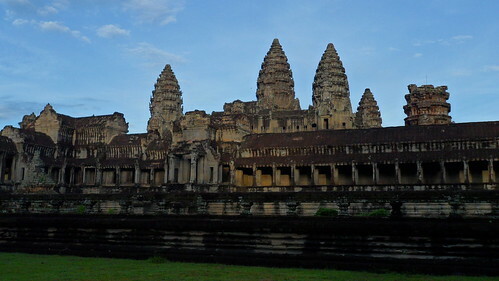 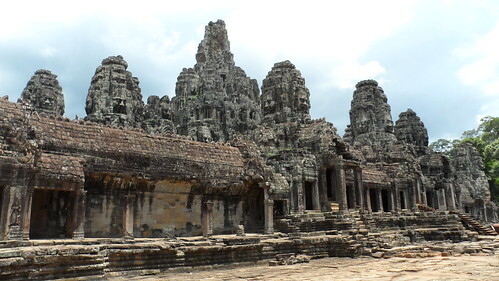 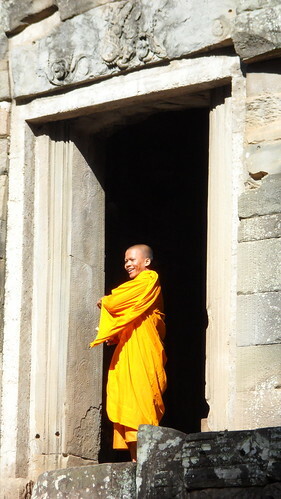 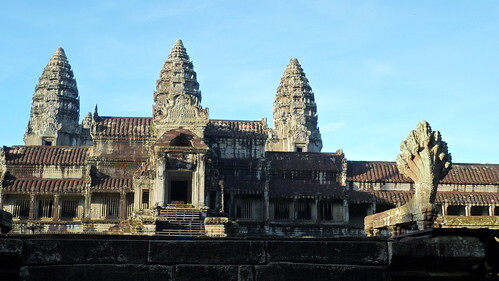 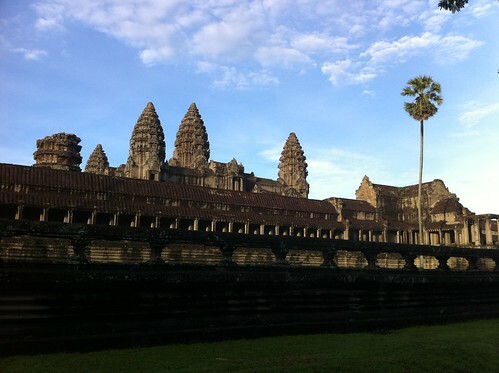 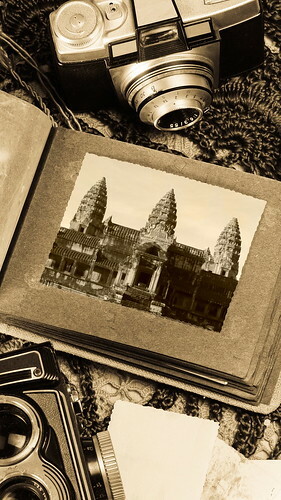 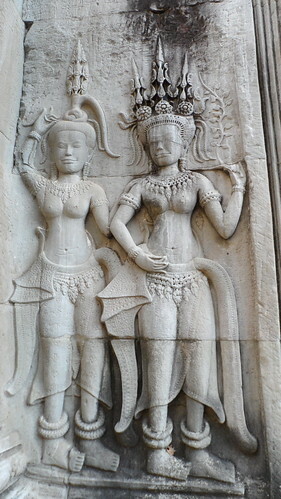 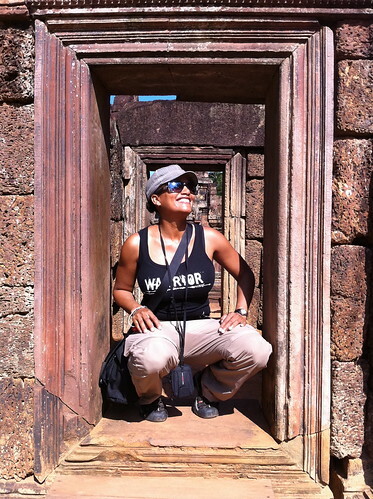 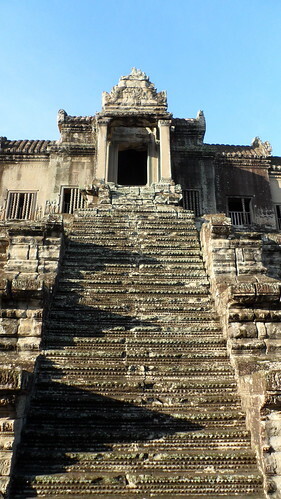 I just love the pic’s of Angkor Wat. 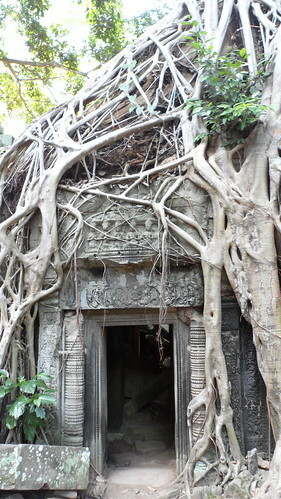 Log in | 19 queries. 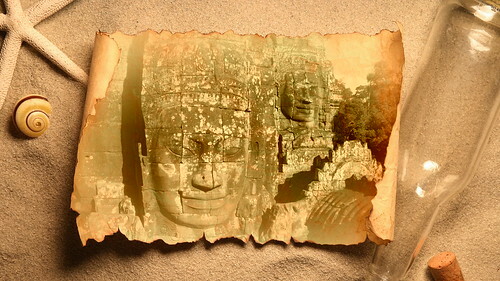 0.224 seconds.